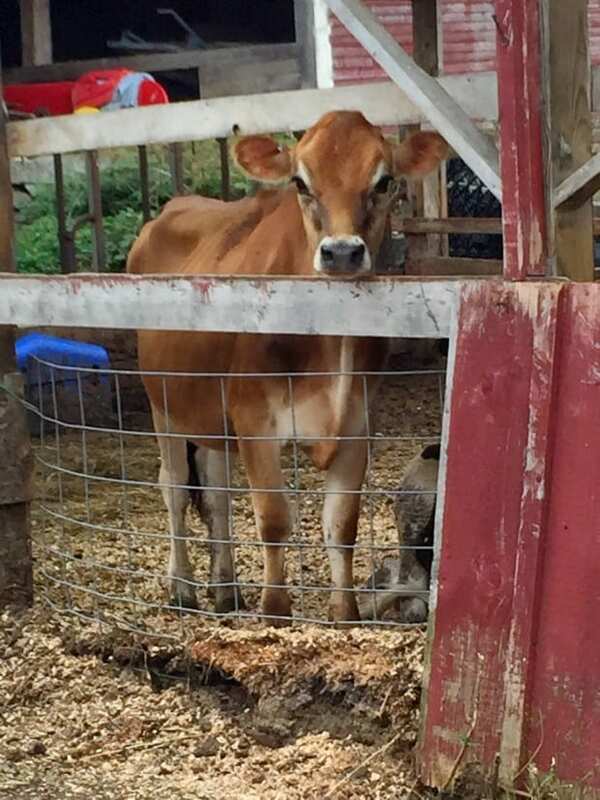 This past weekend I was invited to visit some of Stonyfield Organic's dairy farms in the New England area. It was an amazing trip, not just because of the amazing area, but because I learned so much while I was there. I was joined by a handful of other lifestyle and food bloggers. We weren't short on questions either. 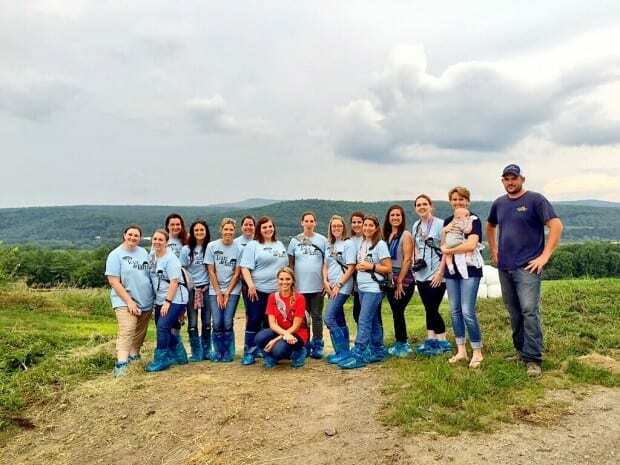 Luckily the folks at Stonyfield, the farmers and even Gary Hirshberg (the founder of Stonyfield and now helps run the Just Label It campaign) filled us with knowledge of his mission. You love those blue booties, don't you? The USDA set regulations for organic farming and production practices based on the Organic Foods Protection Act of 1990. Accredited Certifying agencies inspect farms annually, taking soil and plant samples and detailed records of the farm. For crops, a farm takes three years to transition into an organic farm. The farmer can still sell to conventional food companies, but they are paying a premium to make the farm organic without the money coming in for it. 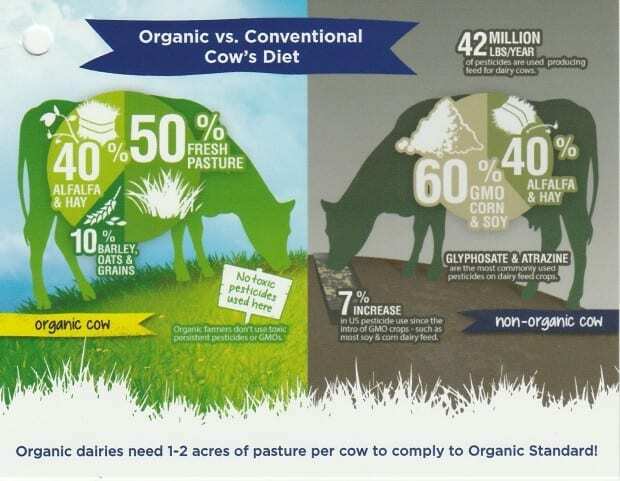 Stonyfield helps cover these costs for the dairy farmers because there is such a high need for organic dairy. Let's get into the good stuff, though, some awesome facts about organic farming. I scanned some of the info Stonyfield provided us during the trip. I'm sorry they aren't high quality, my scanner must hate me. 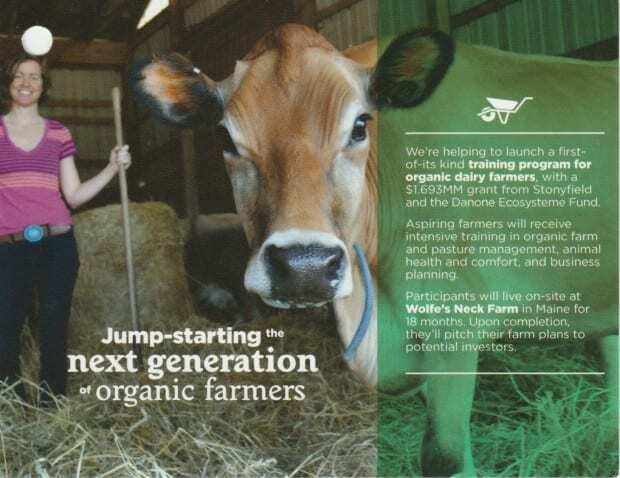 For a dairy farm to become USDA certified organic, the farm has to transition for a full year. The cows have to be at pasture for 120 days of the year. When it gets too cold, or there is snow on the ground, the cows eat alfalfa & hay (pasture that has been cut and stored). They also get an organic barley, oats, and grain blend. The farmers told us that it was like getting a special treat. No pesticides or GMO's here! 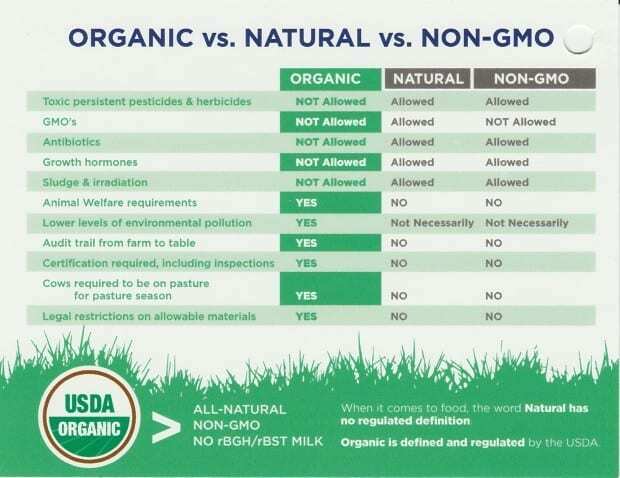 A lot of people don't realize that USDA Organic covers a wide range of things that are not allowed, including GMO's. The one thing I loved hearing from the farmers was that their cows were healthier and happier now that they were organic. 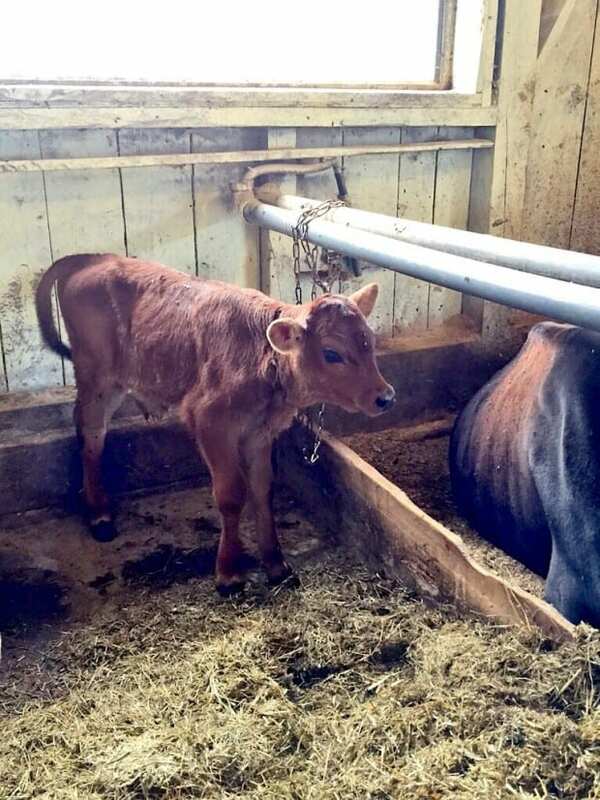 The cows don't get sick as often as conventional cows; that reduces the risk for antibiotics. The cows are even living longer! While most of the farmers switched to organic practices for the better payout, all of them are extremely happy they have because of how well their cows are doing. I, like most consumers, thought that the reason organic foods are higher priced because it costs so much to get the USDA Organic certification was so expensive, but in reality, it's only $1,000. 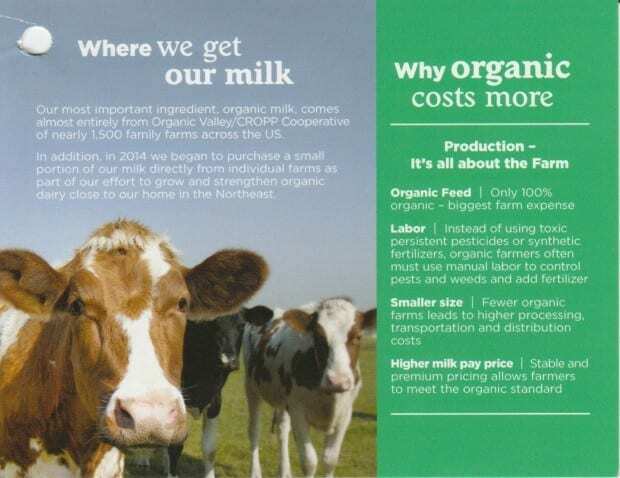 The government will subsidize that and brands like Stonyfield are helping to cover this cost because there is such a high need for organic dairy farms. I encourage you to check out more of the work that Stonyfield is doing, not only with bringing organic yogurts to your family but with sustainable packaging, and shipping practices that are also more sustainable. You can also see where Stonyfield sources all of their dairy, chocolate, seeds, grains, and fruit on their Sourcemap! You'll learn about the farmers and coops that they are supporting in the process. Next month (September) Organic Myth-Busting Month, a 30-Day Social Media #OrganicFestival filled with awesome information from Organic Trade. Join in the conversation with #OrganicFestival on social media! what a fun trip 🙂 I had the pleasure of visiting a conventional dairy farm in Kansas,it was amazing! They supply their milk to Dannon – a subsidiary of Danone. And just watching the extreme attention and care their give their cows was touching and beautiful. Do the cows get to keep their babies at their side for at least 6 months or are they taken from their mom sold as veil? Are the old dairy cows taken to slaughter or do they get to live out their lives on this farm? On the organic farms that we visited the calves stayed on the farm to become dairy cows if they were females. The males were sent to other farms though when they got older. Most of the dairy cows live out their lives at the farm. I was so happy with the humane way they were raising the cows. I wish more farms would switch to organic not just because of the nutritional aspect.